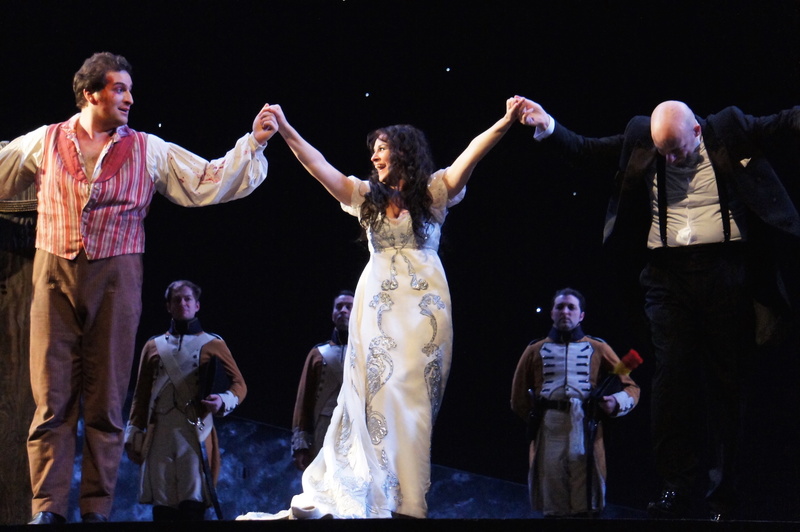 Blessed with three excellent lead singers, this revival of Jonathan Kent’s 2006 production lands all the thrills of Puccini’s magnificent classic. Leading the Orchestra of the Royal Opera House with expert precision, maestro Emmanuel Guillaume adds heft to the first renditions of Scarpia’s motif, adding pace each time the dramatic chords are heard, building to an exciting climax of act one. Each motif, in fact, is given careful treatment, with dynamics and tempo adding to the music and orchestrations that accompany each character. Paul Brown’s design for act one is as realistic as it is dramatically effective. The action is set behind the main altar of great church of Sant’Andrea della Valle, with the Attavanti chapel under the altar. The main lower level gives Scarpia his own space in which to imagine the joys of ravishing Tosca. As the priests, nuns and parishioners sing the Te Deum, Scarpia seems to imagine the voices of heavenly angels reacting to the splendour of his lustful desires. Delivering vocal power that can felt almost as much as it can be heard, Korean bass-baritone Samuel Youn enhances Scarpia’s commanding presence with a deliberately slow and measured gait and a creepy habit of positioning his face very close to people he is threatening. The musicality of Youn’s mellifluous voice is a wonderfully compelling sound, particularly when exposed over the external choir early in act two. So effective and entertaining is Youn’s performance that one might characterise the death of Scarpia as more of a disappointment than a relief. A mightily imposing statue of St Michael slaying a deservedly terrified victim dominates the dark wood-paneled setting for Scarpia’s study. Scarpia practically reenacts this scene when he viciously threatens faithful subordinate Spoletta with the fateful knife. A secret door in the bookcase leads to the torture chamber, with a little window opening to allow Cavaradossi’s brave cries to be heard. Atop the Castel Sant’Angelo, the final action transpires beneath the wing of an otherwise unseen, but evidently massive, statue of a guardian angel. In an interesting interpretation, Kent has Cavaradossi realise his fate. Based on his knowledge of the evil of man, and the fact that only Tosca is specifically named on the safe-conduct letter, Cavarsdossi’s joy at Tosca’s news of the fake firing squad is short-lived, although he hides his despair from his lover as they spend their final moments together. 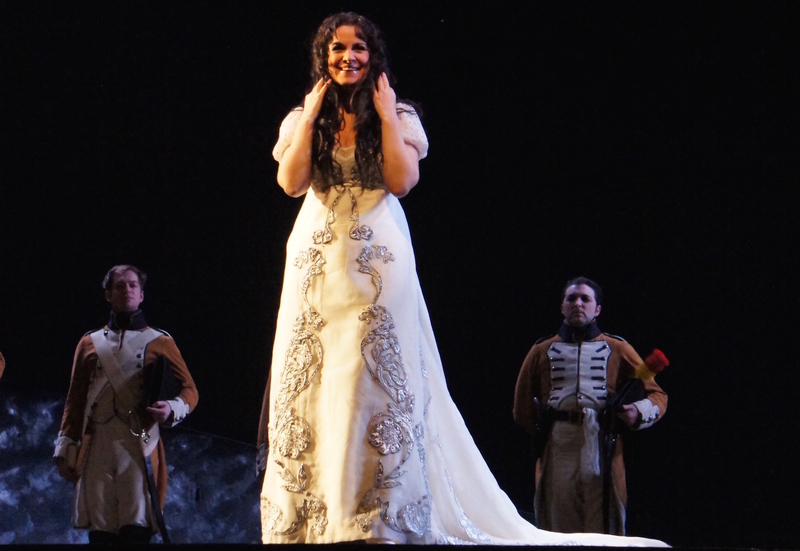 Celebrated Romanian soprano Angela Gheorghiu performs one her signature roles with effortless charm. Keeping the flouncing antics to a complete minimum, she instead conveys Tosca’s jealousy through a mockingly imperious nature, including some amusing business with her orders for Mary Magdalene’s eyes to be re-painted as dark on the mural rather than blue. Beginning with a powerful moment of silence from the pit, Tosca’s “Vissi d’arte” is clearly a prayer of her inner voice, with Scarpia remaining in stage oblivious to the pleas for mercy in her thoughts. 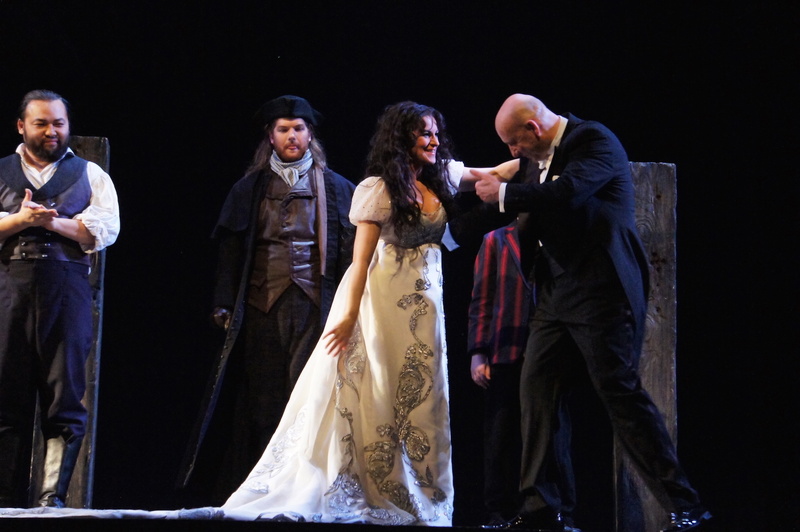 Gheorghiu sings the well-known aria with beautifully controlled grace and polish. Italian tenor Ricardo Massi provides Cavadarossi with the comfortably well-fed look of a man of leisure. His well-supported voice is at its lustrous best when coloured with the rich tones of passionate romance, as in early aria “Recondita armonia.” In a powerful moment in act two, Massi imbues Cavaradossi’s cry of “Vittoria” with so much strength that the effort convincingly leaves the character drained. Massi’s excellent rendition of “E lucevan le stelle” effectively conveys Cavaradossi’s pangs of anguish and despair. 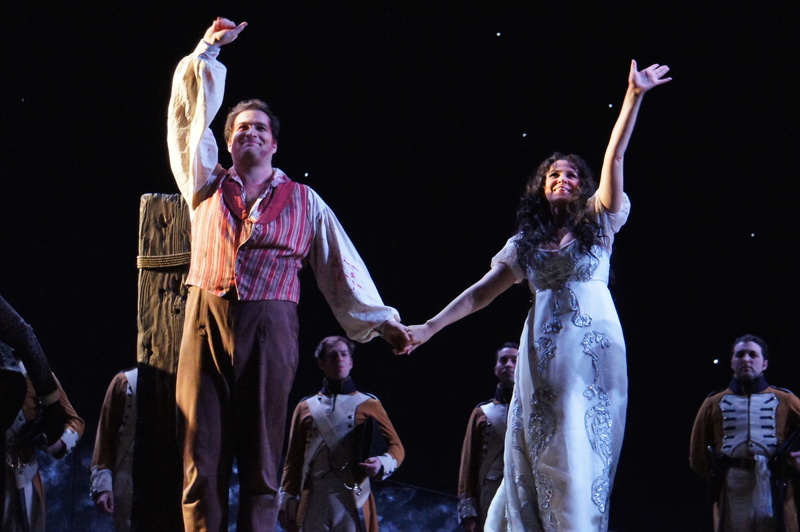 A highly attractive and believable couple, the extended act one duet between Gheourghiu and Massi takes on such intimacy that we almost feel like voyeurs, intruding on their private pleasure. Hubert Francis is subtly slimy as Scarpia’s nefarious offside Spoletta. Donald Maxwell provides early levity as the exasperated, if well intentioned, Sacristan. 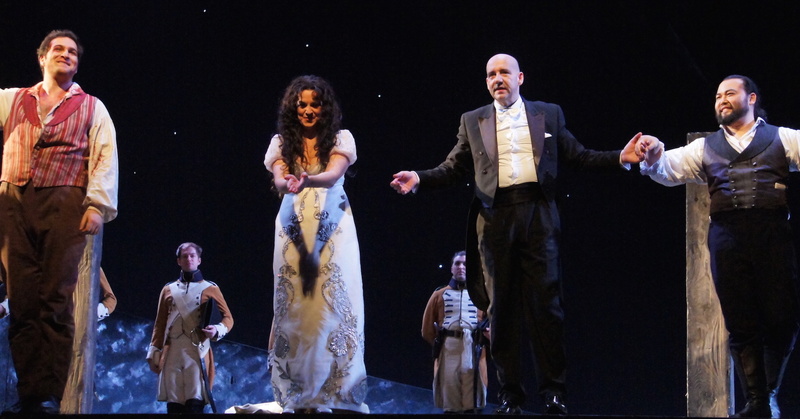 Tosca plays selected dates at Royal Opera House until 5 February 2016. 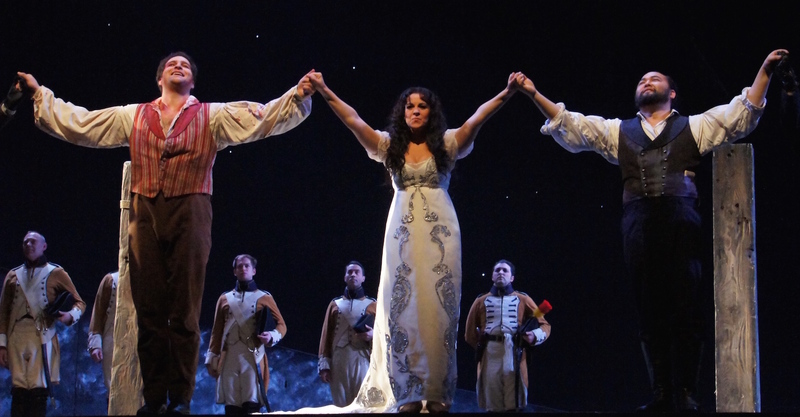 Tosca was reviewed 7.30pm Friday 15 January 2016.